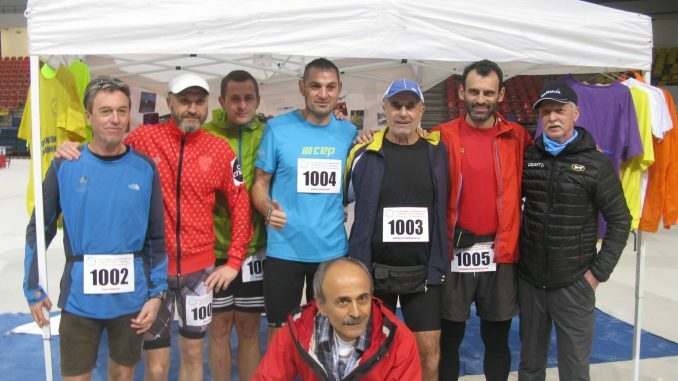 The Athens International Ultramarathon Festival 2019 got underway on January 18th along with the 48 hour race. Current leader is Pawel Zuk (POL) with 1026km/637.53 miles ahead of Nikolae Buceanu (ROM) on 966km/600.24 miles. The 1000 km started on the 24th January with two runners – Petri Pertilla (FIN) currently on 360km/223.69 miles and Mireille Cormier (FRA) with 212km/131.73 miles. The 48 hour race started on the 18th with 25 runners and was won by Andrzej Radzikowski (POL) with 362km/224.94 miles. First woman, third overall was Fionnuala O’Mara (IRL) with 323km/200.70 miles. The 24 hour started on the 19th January and was won by Vladimir Todorov Stavrev (BLG) with 226km/140.43 miles and first woman was Teija Honkonen (FIN) winning with 211km/131.11 miles. 16 women took part in this race, a huge increase on previous 24 hour events at the Athens Festival with Angela Terzi, Athina Xenoulh and Olga Kousi representing Greek women. The final event will be the 72 hour which starts on the 31st.